The classic oxford shirt, a staple in every woman's closet. But, my biggest challenge is to create new and exciting looks with this classic piece. To mix up my classic oxford I tied the bottom of the shirt to create a cropped look. A lot of bloggers have been doing this and I love the look it creates! For a day of lunch and shopping with a friend I put together this casual and comfortable look. My shorts are a stretchy jersey material that is perfect for a warm spring day. These shorts are breezy and uber comfortable! They have an elastic waist band which make them perfect for a hardy lunch at Olive Garden. To say we ate a lot of bread sticks would be an understatement.... But, none the less I loved this look for a day of errands. For accessories I added a few of my favorite Kendra Scott pieces. I recently shopped their HUGE sale on their website and picked up some great pieces. One of them being this gold and rhinestone cuff. This bracelet is gorgeous and it's perfect for any look. I also wore my Alex and Ani bangles with a Lilly and Laura bracelet to complete my bracelet stack. I wore my Kendra Scott earrings from the Nordstrom Anniversary Sale last year. They are a blush pink color which is a great summer neutral shade. Kendra Scott earrings are the perfect preppy statement piece for a classic look. How do you style your button downs? Let me know in the comments! It's Memorial Day Weekend which means red, white, and blue galore! For this look I mixed red, white, and blue in a vintage inspired way. Maybe it is all that Mad Men I keep watching, but none the less I love how the look turned out. I paired this adorable navy and white polka dot dress with a bright red belt. This belt came with a different romper but I love wearing it with other pieces. It also has an adorable bow clasp which makes it different from your average belt. This dress is also one of the most flattering pieces I own. It's tighter around the waist which creates the perfect hour-glass figure. It also has an adorable lace detail at the bottom and top at the dress. To accessorize the look I wore these red low wedge sandals from Sperry. I love sandals that have double straps like this. I can't wait to wear these more this summer! I also wore these bold heart sunglasses from Urban Outfitters. I picked these up ages ago but they are still adorable! To tie the red, white, and blue theme together I wore my Blair Waldorf KJP bow bracelet, my Daniel Wellington red and blue watch band, and a stack of Alex and Ani bangles. Although I don't do anything big for Memorial Day it's fun to dress festive for the occasion. Red, white, and blue is one of my favorite color combinations. I think it is the perfect look for any summer day. What are you wearing for Memorial Day? Let me know in the comments! 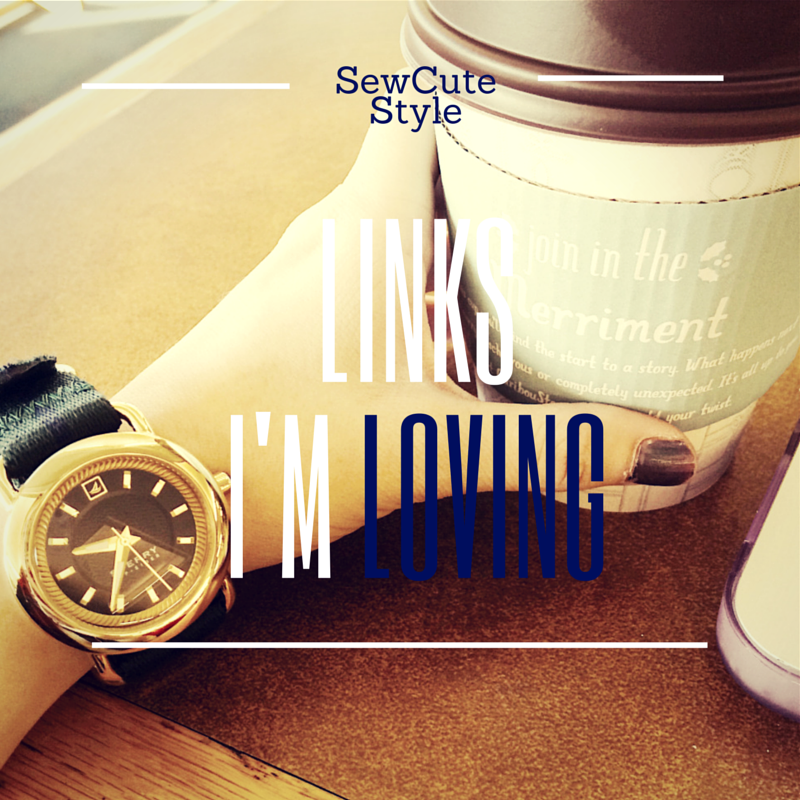 Here are a few links that I'm loving at the moment! Adorable little kids | There is nothing cuter then a well dressed toddler, well maybe puppies. But, this Buzzfeed article is to cute not to take a peek! Totally relate | I don't know about you but a lot of friends have walked in and out of my life. Right now I can totally relate to this article from the Odyssey. Dream Musical | The fashion Gods have answered my prayers, The Devil Wears Prada is now going to be a musical! Read all about it from this Vogue article. Dating hiatus | This TSM article is was to true. For a single lady I can totally attest to this. What are some links that you are loving? Leave them in the comments! 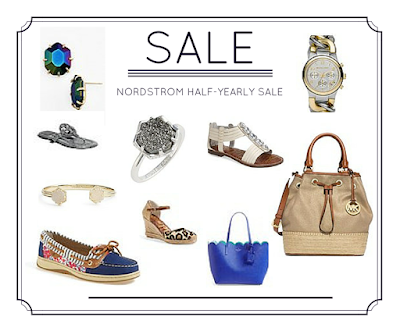 It's the Nordstrom Half-Yearly Sale once again! Nordstrom sales are the best kind of sales in my opinion. It gives you the chance to get great designer pieces for a discount. If you search really hard you can get things for a really good price. Here are a few of my favorite items from the sale. But, don't worry it doesn't stop there. There are A LOT of items on sale that are great pieces! Some of my favorite brands on sale include Kendra Scott, Kate Spade, and Michael Kors. If you have liked my gold chain link watch from my OOTD posts they have a style very similar on sale that has both silver and gold! Also, they have a black iridescent version of my grey Kendra Scott studs on sale. Be sure to check out this amazing sale before it's over! 1| Linen skirts. 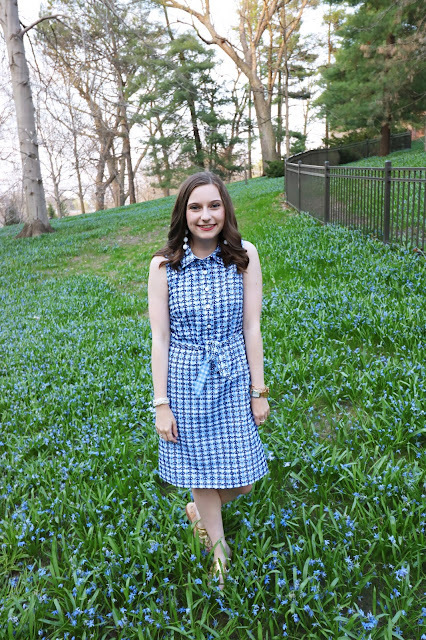 The linen skirts from the J Crew outlet are my go-to during the spring. On a recent trip to the outlet mall I found two more great neutral colored skirts in navy and army green that I know I will be wearing all year round. These skirts are light weight and matching with anything. Also, they are a great fit for my petite frame. 2 | My red J Crew coat. This coat is perfect for the unpredictable weather in the midwest. It's just heavy enough to wear when it is low 60's but it isn't to heavy if the weather gets warmer. Also, I love all of the nautical touches that it has. The tie loops are made of rope which is an adorable touch. 3| A pair of Hunter boots. Rain boots are a must in the spring for all of the rainy days. I have two pairs of Hunters and I always wear them on campus. They are perfect for any time of the year. 4| Tory Burch flats. During the spring I ditch my boots and switch to ballet flats and Sperry's. My favorite pair of flats is my Tory Burch Reva black flats. They go with anything and are the perfect shoe to add to your closet. 5| Croakies. My last must have is croakies for my sunglasses. I use croakies all year round, but when it's warmer and sunnier they are a must. I like having my sunglasses at easy reach around my neck. Also, they are just a cute additional accessory for any look. My favorite place to get croakies is Southern Tide, Lilly Pulitzer, or Fraternity Collection. What are your spring must-haves? Let me know in the comments! I am obsessed with the new Softlips cube lip balm! When I find a lip balm I like I become a loyal follower. A lot of people are big fans of the EOS lip balms but I never was a big fan. They dry out my lips like no other and the Softlips cube doesn't do that. My lips get super dry (gross!) so a good lip balm is an essential for me. Finally, I think I found one! Have you tried the new Softlips cube yet? Let me know your thoughts in the comments! I was sent this product to review from Influenster. All opinions are my own. 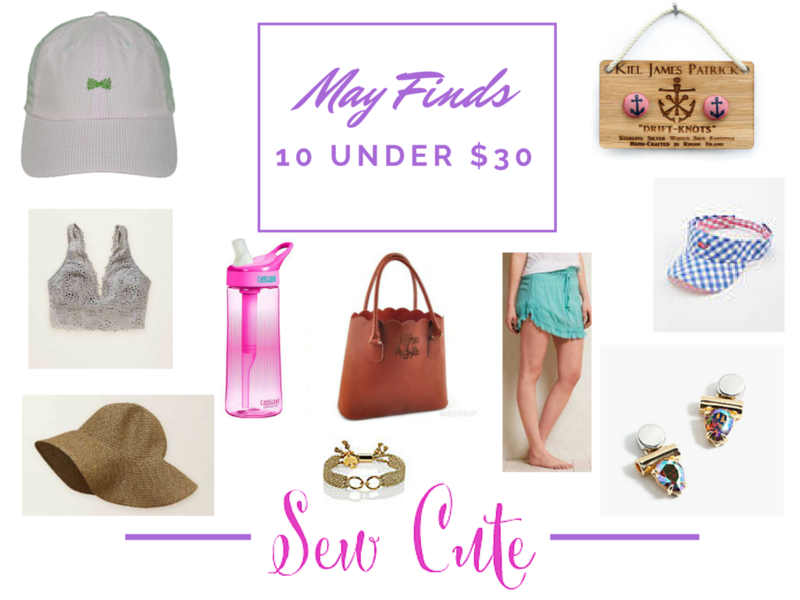 Another Wednesday calls for my next installment in my May Finds series. Today, I found 10 summer ready items all for under $30. Any of these pieces would be great for your summer life. Whether you are working out with a Camelbak water bottle or dining on the patio with chic J Crew studs. What are your recent finds? Link them in the comments! Recently, I've noticed a new trend on how to wear collared button down shirts. Since button downs are a huge staple in my wardrobe I couldn't help but get on board. I first noticed the trend on Man Repeller's Instagram account. Since Man Repeller is a major fashion source I figured they knew what they were talking about. To my surprise I actually love the look it creates. It mixes it up from my typical tucked in and belted look. I like to call this trend the "half-tuck". To create this look unbutton the two lower buttons in your shirt. Then you simply tuck in your entire shirt except on of the sections in the front. This way you have a cool relaxed almost boyfriend style look. For this look I wore my favorite button down shirt. What I love about this shirt is that it is perfect for any season. It's thin enough to wear in the spring and summer but you can layer it with pieces in the fall and winter. I have showcased this shirt on my blog before, but I always find a way to re-work it. In today's look I wore it with lavender chino shorts. If you followed my blog last summer you know that chino shorts are a major summer staple of mine. I like how they are more polished and put together then regular denim shorts. Also, I have them in a wide range of colors which makes them fun to pair with neutral tops. To accessorize this look I added a lot of bow accessories. I wore my KJP bow bracelet along with my Kate Spade bow earrings and matching ring. Bows are such a fun and girly touch that I think goes perfectly with my style. I also wore three Alex and Ani bangles (what else is new) and my Michael Kors chunky gold watch. Then, the main statement piece of this look is my J Crew multi-colored statement necklace. Although this necklace has a lot going on I always find a new way to wear it. It features clear, blue, neon orange, and lavender stones. I would never have put those colors together but it surprisingly works out great! To finish the look I wore my gold Jack Rogers sandals. This purple Kate Spade bag is my go-to purse in the spring and summer. I purchased it last year and I am actually in love with it. If you were to combine all of my favorite things you get this purse. It's purple, scalloped, the perfect size, and has an adorable black and white bow lining on the inside of the bag. I think by far this is one of my favorite Kate Spade bags I own. Rings: Kate Spade and Tiffany & Co.
Have you tired the "half-tuck" trend? Let me know in the comments!